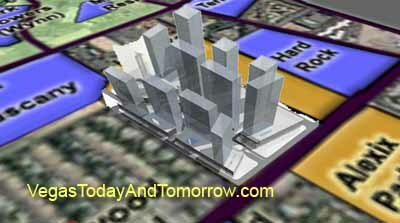 NEWS 3/29/06: The $3-billion Las Ramblas condominium-hotel project is no longer taking reservations. 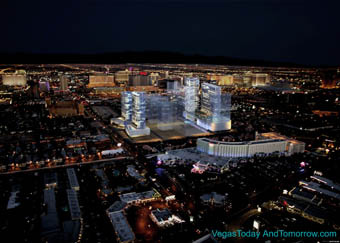 Sources in the Vegas high-rise industry say that the 25-acre site is under contract to be purchased by Edge Resorts Group, a partner in the W Hotel being developed to the west of Las Ramblas. Actor George Clooney and nightclub owner Rande Gerber are joining locally based Centra Properties and Related Las Vegas in the development of a $3-billion hotel, condominium and casino complex to be located just off the Strip in the Harmon Corridor. 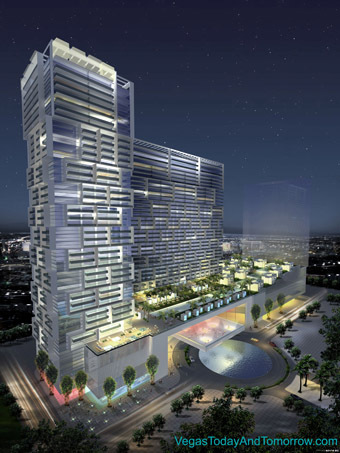 The development will cover 25 acres and include 11 towers. 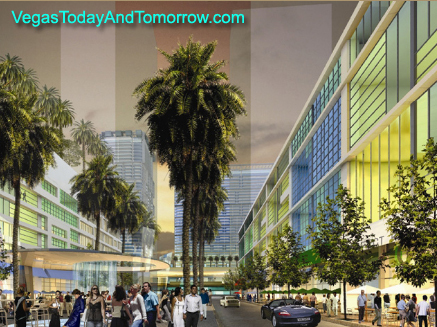 Las Ramblas will include a luxury hotel, luxury residences (both residential condominiums as well as a condo-hotel), bungalows, a spa/health club, nightclubs, restaurants, retail, and an upscale casino. Much of the amenities will be accessible via an open-air pedestrian promenade. Clooney will run the Casino which, he claims, will have a dress code and will be a throw-back to Vegas-of-old. Classy folks, a big-band in the casino, etc. A dress code was tried at the Bellagio when Wynn opened it, but it didn't last for long as even wealthy people like to dress casually when on vacation and several of them complained. If completed as planned, Las Ramblas will encompass more than 4,400 hotel, condo and condo-hotel units in 11 high-rise buildings comprising nearly 8 million sq.ft. The breakdown is for 300 hotel units, 2,764 condo units, 1,326 condo-hotel units and 19 bungalows. Mid-2006 is the planned construction start date for the first phase. Studio, one, two and three bedroom units, as well as penthouse suites and pool-level bungalows. Multi-story penthouse residences and bungalows have private rooftop terraces and pools.